We eat a lot of veggies in our house. I'm always trying to do new things, to make them fun. It seems to work. The kids eat them without complaining. They also take note when something new has been done to them. 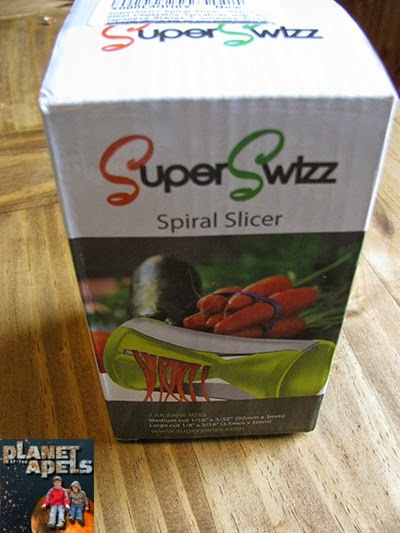 I recently got SuperSwizz Spiral Slicer for review. 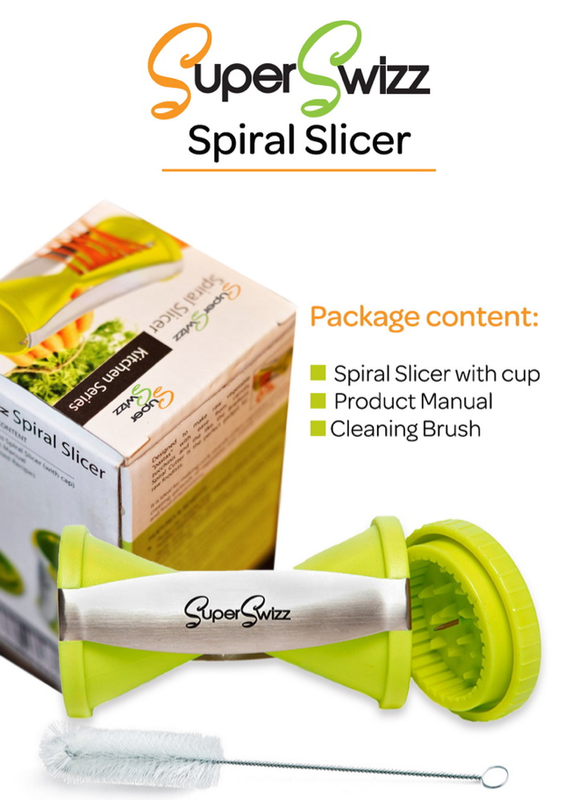 What is the SuperSwizz Spiral Slicer? 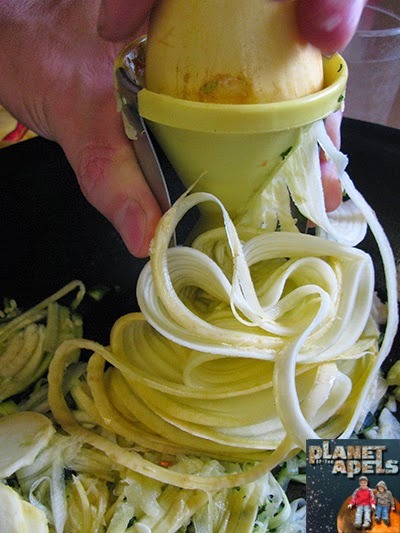 Comes with a manual, cleaning brush and an object that helps hold the veggies. I had a little trouble using it. Daddy came in the kitchen, and it worked perfect for him. 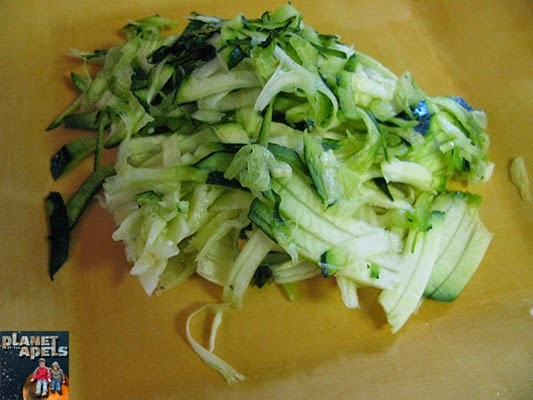 He started out with yellow squash and zucchini. Then he added carrots. The carrots were a little harder to do. It certainly made the veggies fun. It seemed simple enough. It's much like sharpening a pencil. You just push and twist. I thought it was fairly simple to clean. The brush that came in the kit was handy. It can be cleaned in the dishwasher. It's small enough that it will fit in a drawer. I didn't care for the object that is supposed to help you hold the food. Our fingers worked much better. 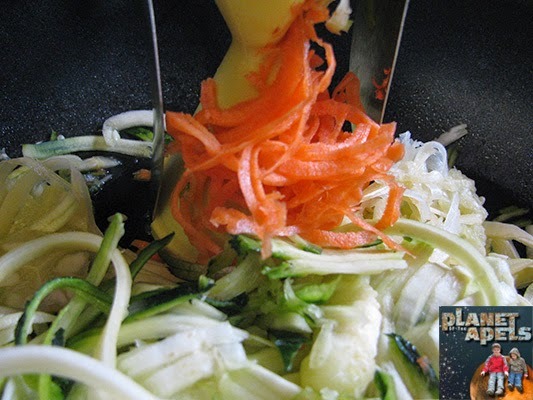 When we used it, the veggie just slipped right off. I don't really see myself using it a lot. It has a left over core. It's kind of pricy. It's $39.95, and on sale for $19.95. I just don't know that I would spend the money. I think I would use something like this a lot, but $39.95 is too much. The sale price maybe, though. 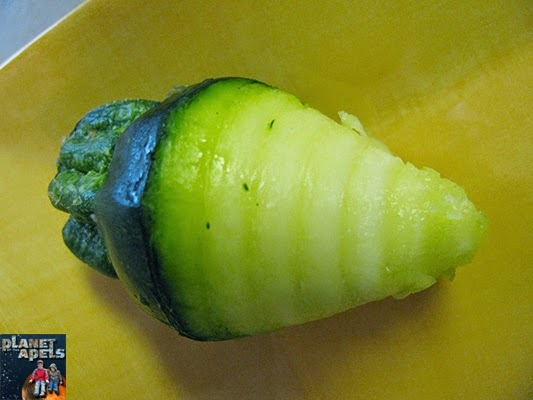 I can see it now: slicing a zucchini, my arm jerks (as it does from time to time) and suddenly we have a flying zucchini monster! I insisted my hubby buy me the attachment that does this for our KitchenAid mixer. I've used it once in the two years I have had it. While neat to use occasionally, I think they may be a waste of money. 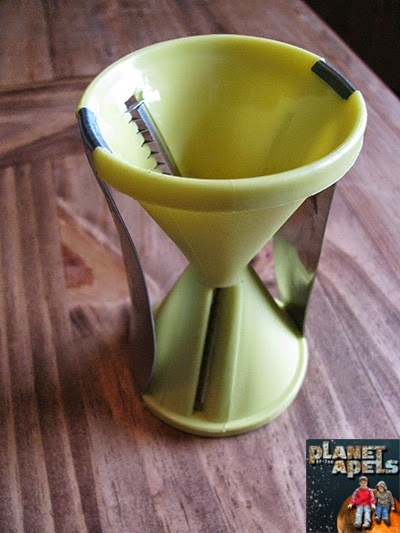 This would be great for preparing foods for entertaining! I like how easy it is to use.